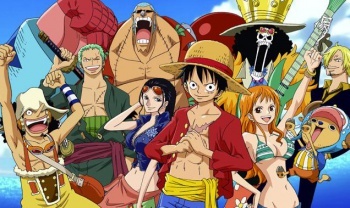 Crazy popular and crazy-long anime and manga series One Piece won't be ending any time soon. Perhaps you've heard of Eiichiro Oda One Piece? It started back in 1997 and is still running strong today - easily one of the most popular anime and manga series in Japan, if not the world. But wow, 1997! That's a really long time. It must be pretty close to finishing right? Wrong. The manga's editor, Suguru Sugita, doesn't know for sure, but he estimates that we're only about 70% through. Sugita recently told Japanese radio show Gold Rush that when he asked Oda how far along the story was, "He told me that the first part of the story, the part prior to the time-skip, was around halfway through. That was about 60 volumes, so maybe we're at 70%? I don't think it's at 80% yet. Something like that." Oda works on his manga at a breakneck pace, spitting out a full chapter week after week. He reportedly only sleeps two or three hours a day, and has only revealed the ending of the manga to a select few, including Sugita. "He asked me whether there was anyone around," said Sugita, telling Gold Rush how he found out. "I told him no, and he said, 'Alright, I don't have anyone around me either, so let's talk,' and then he told me." As for his prospects post-One Piece, Sugita says that the 40-year-old Oda "hasn't decided, but he said he probably wouldn't be able to write [another long-form manga]. He's already been going on for eighteen years, so just how old will he be by the time it's all over? I think it's more of a question as to whether he'd be able to write another long serialization after that, realistically speaking."